This series of article will walk you through on building a simple Online Poll System with real-time updates using SignalR 2, jQuery, Core EF, Core MVC and Web API 2.We will take a look at how each of the technologies will be used within ASP.NET Core 1.0. This series of article will walk you through on building a simple Online Poll System with real-time updates using SignalR 2, jQuery, Core EF, Core MVC and Web API 2. We will take a look at how each of the technologies will be used within ASP.NET Core 1.0 context by building an application from scratch. In this particular series, we will create the core foundation of the application starting from creating a new database, creating a new ASP.NET Core project, and setting up the Data Access using EF Core. We will also create a simple page for adding a new poll and a page for displaying the newly added poll in real-time using ASP.NET SignalR 2. If you're ready to explore ASP.NET Core and get your hands dirty, then let's get started! Our next step is to create the poll management page where we can add polls to be available for users to cast their votes. Just click OK to let Visual Studio generate the required files needed for us to run the App. Introducing ASP.NET Core: The New ASP.NET in Town! The “DB" folder will contain our data access. In this demo, we are going to use Entity Framework Core 1.0 as our data access mechanism. This could mean that we will not be using the old EF designer to generate models for us because EF designer (EDMX) isn’t supported in ASP.NET Core 1.0. The “ViewModels” folder will contain a set of models that we are going to use in the View. These models are just classes that house some properties that we only need for our View, thus making the data-transfer much lighter. There are two ways to add packages in ASP.NET Core; you could either use the “project.json” file to take advantage of the intelliSense feature, or via NuGet Package Manager (NPM). In this demo we are going to use NPM so you can have a visual reference. Select “Microsoft.EntityFrameworkCore.SqlServer” and click Install. Just follow the wizard instructions until it completes the installation. Now, it’s time for us to create the EF models based on our existing database that we have just created earlier. Go to the root folder of your application where the project.json is located. In this case the “ASPNETCoreSignalRDemo”. Note that you need to change the Server value based on your database server configuration. If you are using a different database name, you would need to change the Database value too. If you are still getting errors then you might want to upgrade the PowerShell to version 5. You can download it here. You need to change the value of Server and Database in your connection string based on your server configuration. Here’s the actual code generated. If you have noticed, the models generated are created as partial classes. This means that you can extend them by creating another partial class for each of the entity/model classes when needed. That’s it. Now we’re ready to work with data. The next step is to create the application. The first thing that we are going to build in our application is the Poll management page. In this page, we will create a form that allows us to add a new poll in the database using MVC. The class above contains two properties that are decorated with the Required attribute using Data Annotation to enforce pre-defined validation rules. The ViewModel classes above will be used in our View later. If you have noticed, we are defining an interface instead of a class. This interface will be injected in the Controller so we will only need to talk to the interface rather than the actual implementation of our repository. The PollManager class handles all database operations for our Poll system. The purpose of this class is to separate the actual data operation logic from the controller and to have a central class for handling create, update, fetch and delete (CRUD) operations. At the moment, the PollManager class contains two methods: The GetActivePoll() method gets the active poll from the database using LINQ syntax and returns an IEnumerable of PollDetailsViewModel. The AddPoll() method adds a new poll data to the database. What it does is it adds a new record to the Poll table and then adds the associated records to the PollOption table by looping through the answers. 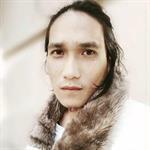 If you have noticed, I used a simple transaction within that method. This is because the table PollOption is related to the Poll table and we need to make sure that we only commit changes to the database if the operation for each table is successful. The Database.BeginTransaction() is only available in EF 6 onwards. The class above uses constructor injection to gain access to the methods defined within PollManager class. The Index() and AddPoll() methods simply return their corresponding Views and nothing else. The overload AddPoll() method is decorated with the [HttpPost] attribute which signifies that the method can only be invoked for POST requests. This method is where we actually handle the adding of new data to database if the model state is valid on posts. Keep in mind that validation of active polls upon insert will not be covered in this article. The app.UseDeveloperExceptionPage() enable us to see details of the exceptions in the page when our application throws an error. This method is available in Microsoft.AspNet.Diagnostic assembly. The last line enables MVC with pre-defined default route. In this case, the /Home/Index would be our default page. For this particular demo we are going to use SignalR 2 to automatically display the newly added poll in the page. The default templates for ASP.NET Core 1.0 RTM apps only target "netcoreapp1.0". Unfortunately, ASP.NET SignalR is not yet supported in .NET Core 1.0 (RTM) so we need to switch to framework .NET 4.6.1 to be able to utilize the ASP.NET SignalR features. You can view the ASP.NET road map here. Note: By targeting to net461 framework, we will lose the cross-platform ability in our app. Anyway once SignalR 3 is supported, I'm sure it will just take few tweaks to integrate that so our app can run on multiple platforms by targeting to netcore1.0 framework. For the time being, let's keep rolling and see how we can use the power of SignalR within our ASP.NET Core app. In this demo, I’m going to use jQuery CDN to reference the jQuery library. Keep in mind that you can also use NPM or Bower to manage client-side resources such as jQuery in your project. We need to create a middleware for SignalR so we can configure to use it by creating an IApplicationBuilder extention method. Calling the app.UseSignalR2() method will add the SignalR middleware to the pipeline. To provide you a quick overview, the Hub is the center piece of the SignalR. Similar to the Controller in ASP.NET MVC, a Hub is responsible for receiving input and generating the output to the client. The methods within the Hub can be invoked from the server or from the client. In this demo, we’re going to see how to invoke a method from the Hub in the controller action. You can also use this technique if for example, you have a mobile app that syncs data to your database using Web API calls and you need to display real-time results to your website. For more information about SignalR Hub API, read here. Just like in our HomeController, it also uses a constructor injection to initialize the PollManager. The Get() method simply returns the result of the Poll’s data from the database. The LoadActivePoll() function uses a jQuery AJAX to invoke a Web API call through AJAX GET request. If there’s any data from the response, it will generate an HTML by looping through the rows. The LoadActivePoll() function will be invoked when the page is loaded or when the displayPoll() method from the Hub is invoked. By subscribing to the Hub, ASP.NET SignalR will do all the complex plumbing for us to do real-time updates without any extra work needed in our side. Here’s the actual output after adding a new poll in AddPoll page and automatically fetches the result in Index page without doing any interaction. In this article, we’ve done making the core foundation of the application starting from creating a new database, creating a new ASP.NET Core project, and setting up the Data Access using EF Core. We also learned how to create a simple page for adding a new poll and a page for displaying the newly added poll in real-time using ASP.NET SignalR 2. A code monkey who loves to drink beer, play guitar and listen to music. I currently work as a Solutions Architect and we build "cool things" to help people improve their health. With over twelve (12) years of professional experience working as a Sr. Software Engineer specializing mainly on Web and Mobile apps using Microsoft technologies. My exploration into programming began at the age of 15;Turbo PASCAL, C, C++, JAVA, VB6, Action Scripts and a variety of other equally obscure acronyms, mainly as a hobby. After several detours, I am here today on the VB.NET to C# channel. I have worked on Web Apps + Client-side technologies + Mobile Apps + Micro-services + REST APIs + Event Communication + Databases + Cloud + Containers , which go together like coffee crumble ice cream. I have been awarded Microsoft MVP each year since 2009 - 2018, awarded C# Corner MVP for 2015, 2016,2017 and 2018, CodeProject MVP, MVA, MVE, Microsoft Influencer, Dzone MVB, Microsoft ASP.NET Site Hall of Famer with All-Star level and a regular contributor at various technical community websites such as CSharpCorner, CodeProject, ASP.NET and TechNet. I tried this approach and it led to so many issues that I needed to confront that don't surface in the mixed version approach. Code that won't work in Core will magically work the way you're doing it, and give the developer a false sense of what it means to go full Core. The biggest advantage of your approach is that you will get the new architecture(copied from Node), which is much better and will scale better, so that's a big win! You also get the concept of middleware, which is nice, but you won't have to deal with the realities of getting code to work properly in Core. All I'm saying is that the title of the article misleads, but I know it's not intentional. I too will be glad when SignalR 3.0 is available, because it's become a key part of every major system we deliver these days. Having said all of this, I do think you did great work here! Then I was able to run the Scaffold-DbContext command and create the DB classes. Ah so you were using Windows 10 to test it out? When I try to load the Project it is giving error, Please tell me how I run this project. What's the error? Did you create the database? Did you install all the packages required for the app? "One or more projects in the solution were not loaded correctly.Please see the Output Window for details". And another thing I want to know that how do I create database for that because neither script for creation of database is attach nor database is attached with project which I downloaded. Please tell me how do I create database for this also. Please tell me also what packages are require to install for this app and how do I install packages. I am very much thankful to you. Everything you need are actually mentioned in the article, including the creation of database. You would need to install SQL Server Express or use the local database server that is included in Visual Studio 2015, if you have. The required packages are also highlighted in the article, but you need internet to restore them. First,Sorry for late reply.I have all things which you have mentioned in previous reply except "ASP.NET Core 1.0 RTM". Will you please tell me where to download "ASP.NET Core 1.0 RTM".Please provide the URL or any other link to download this. Also I have one question that you means to say in previous comment that database with this project is mention with the project itself, If no please provide me sample database to use this application i.e.the database which you use with this application.I will be thankful to you. Again, creation of database was highlighted. Please read the article again. Thanks for providing me the answer , I will look into this and get back to you. hi I downloaded the code and doesn't work in my Mac. Due to SignalR constraint, this app is only supported in Windows since it's targeting to .net461. It would only be available to target .netcore1 when SignalR3 is supported. ASP.NET Core apps can run on .NET Core or on the full .NET Framework. What I understand from the document, when you built apps using ASP.NET CORE they run in .NET Framework and .NET CORE simultaneously. This mean there is no specific version of ASP.NET CORE for ONLY .NET CORE or for .NET Framework. Your source code does not on run .NET CORE. As others said the article lacks a completeness due to the sample. Then perhaps you should re-read the docs again. It does not, and if you really did read the entire article carefully, you should be able to understand why. What kind member come this day. Are you saying there are two versions of ASP.NET CORE? There's only ONE version of ASP.NET Core, but ASP.NET Core can target and run multiple .NET frameworks. That's one of the great features of ASP.NET Core, you can target it to netcore1 to make your app cross-platform, or make your app run on .net full standard. SignalR 3 isn't yet available in .netcore1.0 and so I opt to use the net461 framework just for SignalR2 to work within ASP.NET Core (though it's only on Windows). Don't confuse yourself with ASP.NET Core. The .NET Core 1.0 is the one that enables ASP.NET core app to run on X-Platform. Still you dont understand what I'm saying. YOUR APP DOESN'T WORK IN .NET CORE. This is so damn clear from the document that I provided you. Yet you failed to understand it. ASP.NET CORE APPS RUNS IN .NET CORE AND .NET FRAMEWORK. The "RUNNING" thing should not be broken. No .NET CORE only version and Not .NET Framework only version. YOUR APP DOESN'T WORK IN .NET CORE. You're the one who didn't understand. Did the article mentioned that the app runs on .netcore1.0? Did I say anything like that? 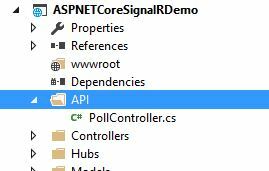 The article shows how to integrate SignalR2 in ASP.NET Core that runs on net461. Yet failed to understand it. Again you failed to understand it. YOU ALREADY MENTIONED ASP.NET CORE. That is the fine line here. Its already implied. You can not tell me "Oh the app doesn't run in .NET CORE. Please use only .NET framework,Hey but it's ASP.NET CORE".